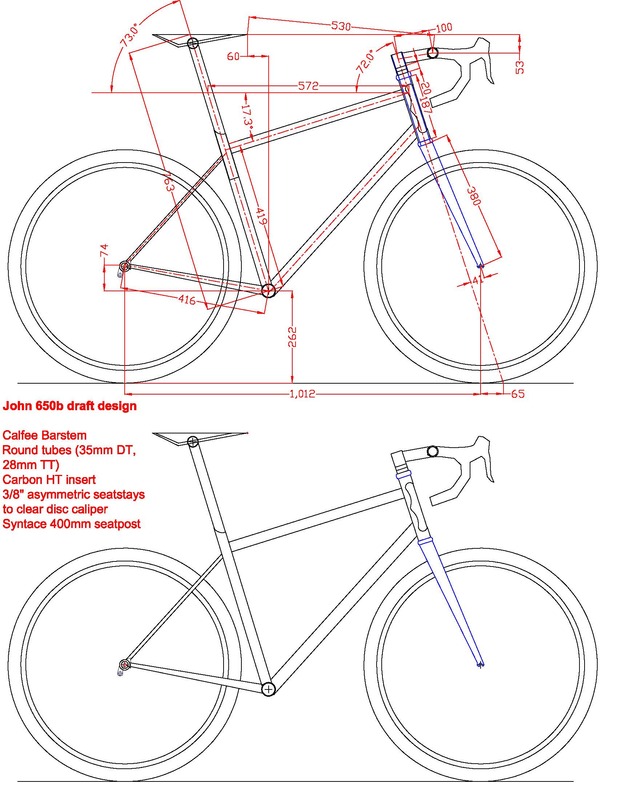 The design for the sub-15 lb 650B English (well, at least hopefully sub-15 lb, it’s going to be close). I am really looking forward to this bike–the 700C bike that Rob built for me is spectacular. I’m looking forward to it particularly because almost all of my rides include significant sections of gravel and terrible pavement, and as much as I love the 700C bike, I sometimes have to go a little slower than optimal because of road conditions. Shaved tubeless Hetres at <50 psi should take care of that issue. Keep in mind that I quite literally broke my neck in 2008 (crushed discs) so I unfortunately can’t be as low and pro as I’d like. Envision with grey paint with rainbow sparkles. You’re going to hate it, but I don’t care. 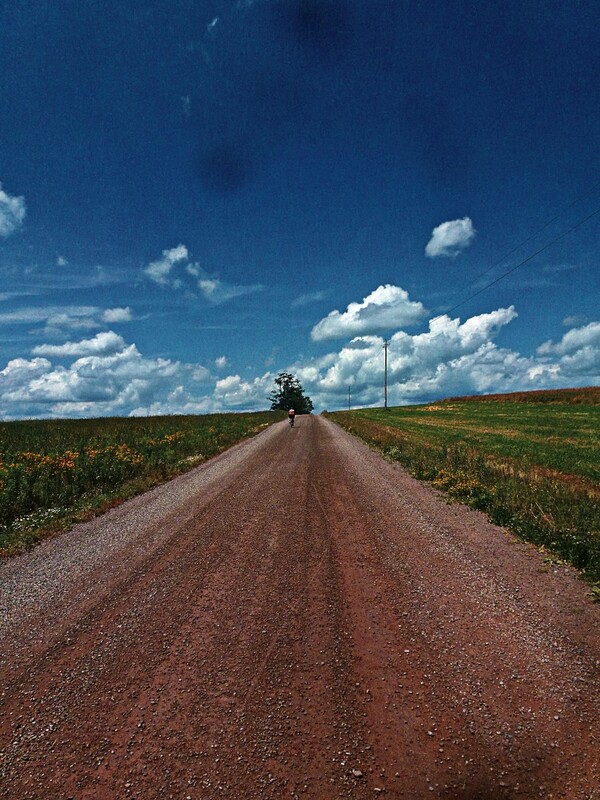 This entry was posted in bicycles on April 16, 2013 by John Ferguson.